Dedicated personnel support you and your project from day one. Many support issues can be resolved without equipment repairs. However, if equipment must be repaired by either the manufacturer or by our vendor-certified service departments, we can expedite your service ticket and get your repair requests started immediately. Many technology providers lack dedicated support systems and staff. In fact, some providers refer their customers solely to the manufacturer for all support, leaving them to fend for themselves after the sale. The moment devices enter a client’s environment, they need to work with existing systems such as VPNs, firewalls, thin computing platforms, and database/application connectivity layers. None of these systems are typically covered by the manufacturer’s support. 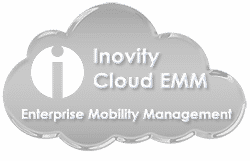 Inovity takes ownership of technical support situations, isolates problems and moves them to resolution. Occasionally, this can mean replicating a client’s environment in-house, in order to duplicate the problem, perform testing and troubleshooting, and ultimately provide the solution. Equipment often outlives the manufacturers’ support window. In these circumstances, we do everything possible to provide continued support for the devices we have sold. We commit extensive resources, dollars and person-hours annually on the training and certification of our technical staff. Staying current on the rapidly-changing technology landscape is critical to providing the superior services our clients need during implementation and beyond. Typically, Inovity engineers often have the opportunity to meet and collaborate with the engineering staff of the manufacturers that created the product. Experienced staff—including individual members with over 20 years of hardware and software support experience in the barcode industry. Full understanding of your system(s) and your environment. Support situations often suffer from a breakdown in communication, specifically when technical jargon and terms are not understood equally on all sides of the support call. To solve complex support issues, we can provide remote, web-based administration and connect with a problematic system or device. We can actually see what the client sees, thereby accelerating an understanding of the problem and rectifying it. Unlike a busy manufacturer or outsourced service desk, which may receive thousands of support calls per day, Inovity provides dedicated, personal assistance for our clients needing technical support. Our clients are never “just a number” to us; they are the lifeblood of our business. Having been in business since 1993, we have built personal relationships and deep levels of trust with our clients over the years.